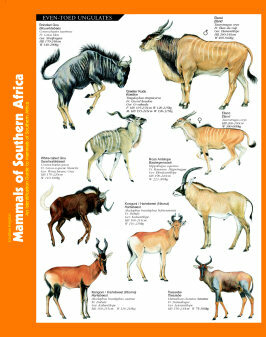 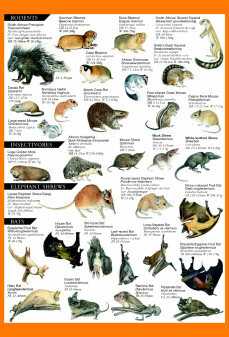 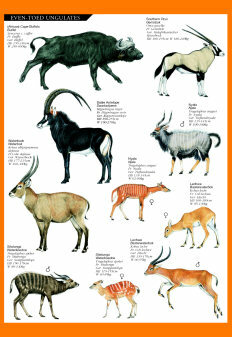 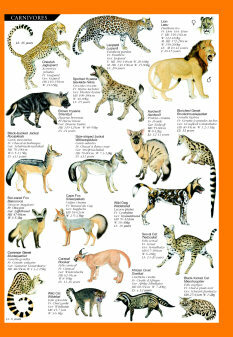 Can you identify the 1150 species of African land mammals found on the African continent? 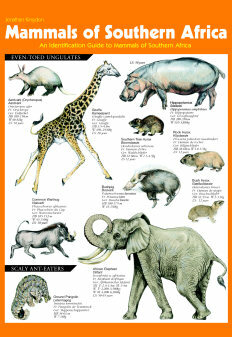 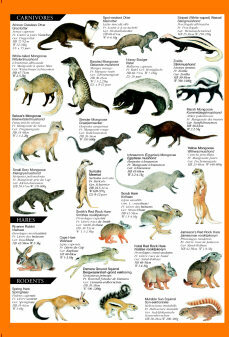 If not, the Korck Publishing Jonathan Kingdon Identification Guide to Mammals of Southern Africa – which illustrates 125 of the larger species – will help provide you with a starting point! 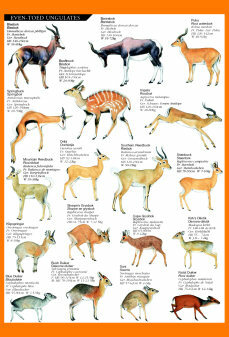 One of the great pleasures in life is being able to view Southern Africa’s plentiful mammals species in their unspoilt natural habitats – and being able to identify what you are seeing! 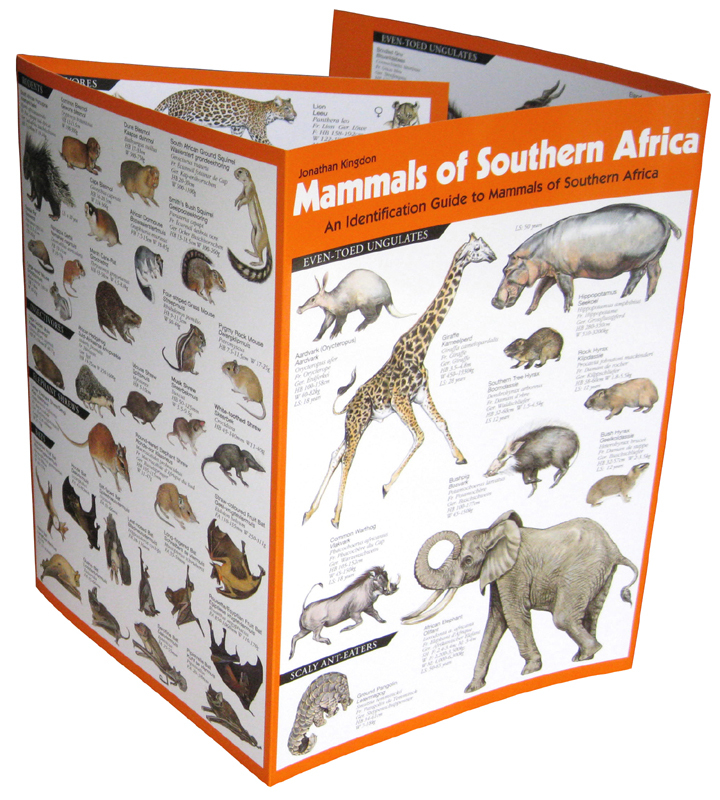 The compact folded dimensions of the Jonathan Kingdon Mammals of Southern Africa ID Guide (298 mm x 238 mm – 11.7” x 9.6”) make it convenient for you to carry around with you and will provide the answers to your mammal identification queries in a quick and efficient way.